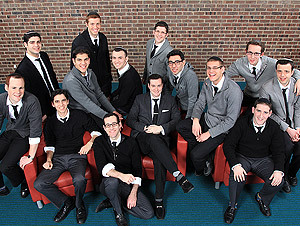 Originally formed in 2007 as Yeshiva University’s student vocal group, the Maccabeats have recently emerged as both Jewish music and a cappella phenomena, with a large fanbase, more than 20 million views on YouTube, numerous TV appearances, and proven success with four albums, 2010′s Voices From The Heights, 2012′s Out Of The Box, 2014′s One Day More and 2015′s A Maccabeats Hanukkah. Though the Maccabeats aren’t your grandfather’s synagogue choir, their ideology and identity play an important part in what they do. 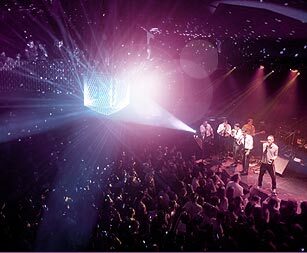 Strongly committed to the philosophy of Torah u-Madda, the integration of traditional and secular wisdom, the Maccabeats perform an eclectic array of Jewish, American, and Israeli songs. Their breakthrough piece, Lecha Dodi, is the epitome of this synthesis, combining some of the most beloved words of Jewish liturgy with Leonard Cohen’s meaningful and melodic Hallelujah. 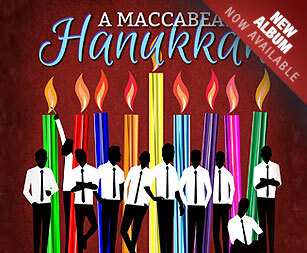 The Maccabeats’ unique offering has caught the eyes of numerous organizations and inviduals throughout the world. 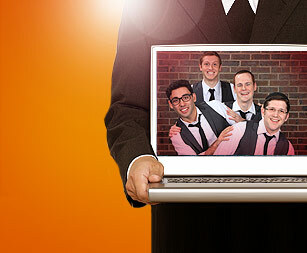 They’ve played sold-out shows to thousands at JCCs, temples, synagogues, shuls, Chabads, Hillels, jazz clubs, festivals, conventions, and theaters across five continents and over thirty states and provinces. They’ve been invited to join reggae superstar Matisyahu and Jewish music superstar Yaakov Shwekey on stage. They’ve been invited to Gracie Mansion by NYC mayor Michael Bloomberg. And they’ve been invited to the White House by US President Barack Obama. Over the course of time, their adventures and opportunities imparted upon the Maccabeats an important lesson: with great a cappella comes great responsibility. It is with much humility and gratitude that the group take up the mission given to them, and share their music with the world. All resources © The Maccabeats. All rights reserved.